Show off your motorcycle helmet! Which motorcycle helmet are you using? Tell us what kind and post up a pic! 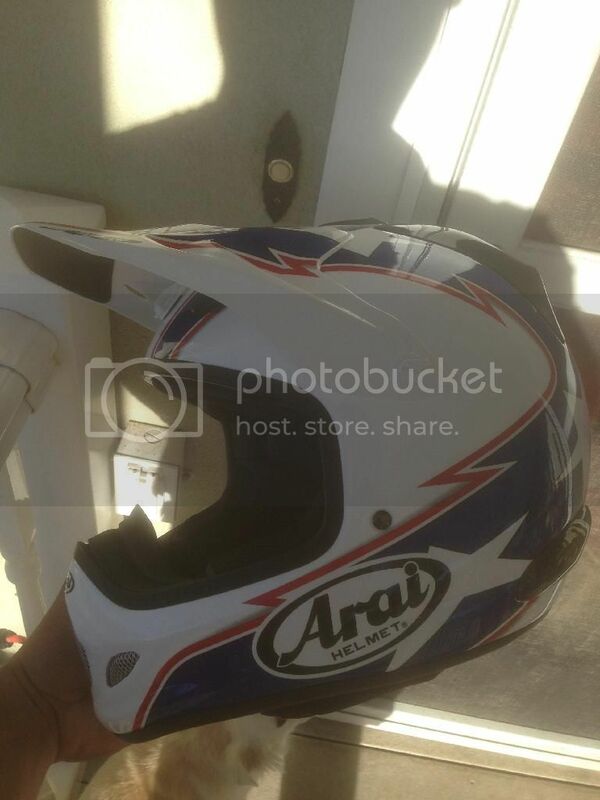 Arai vx proIII. Most amazingly comfortable helmet I've ever worn by far. Not as light as my old suomy but way more comfortable. Last edited by Kadowampus; April 1st, 2014 at 05:43 PM. Im currently using a Fox V2 and have no complaints. Its relatively cheap, light and came in matt black. It has taken a few hits and my head is still in one piece ( on the outside that is)! super light, non DOT but I managed to smuggle it into the states. cree 1800lumen 25$ chinese light. zip tie mount. self made die cut sticker graphics. Here's mine. Haven't used it yet but quality seems to be there. I have the Shoei VFX-W. Good air flow and it fits my head perfectly.